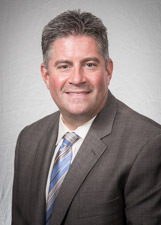 Dr. Peter Finamore is the Chief of Urogynecology Female Pelvic Reconstructive Surgery at Southside Hospital. He is also the residency program director for the OB/GYN residency at Southside and Huntington Hospitals. He is Board Certified in Urogynecology and Obstetrics and Gynecology. He completed a fellowship that was fully accredited in Female Pelvic Medicine and Reconstructive Surgery. Dr. Finamore was trained by specialists in the fields of Urogynecology, Colo-Rectal surgery and Female Urology, combining these fields to provide the optimal medical and surgical management for pelvic floor dysfunction. His surgical emphasis is on minimally invasive approaches to treat of pelvic organ prolapse. He offers Da Vinci Robotic pelvic reconstructive surgery as well as vaginal reconstructive procedures. In addition to the surgical expertise Dr. Finamore has he is also an expert at the diagnosis and treatment of various problems that affect the female pelvis and bladder such as, urinary incontinence, over active bladder, interstitial cystitis, pelvic floor muscle dysfunction and other conditions. Dr. Finamore is a reviewer for several journals and has published over fifteen papers in various peer-reviewed journals and has presented over a dozen posters and abstracts at national society meetings for Urogynecologists, Ob/Gyn s and Urologists. "I have recommended a friend to see Dr. Finamore. She is very pleased with him also." "Dr. Finamore is outstanding - his concern, understanding and willingness to work hard to help me w/a complicated health issues. He explained all options, what we can do and risks. He was sensitive, smart, and confident. Great dr."
"I would highly recommend Dr. Finamore." "I saw Dr. Finamore for a revision to a prior surgery. I should have seen him first." "Dr. Finamore was very caring, concern about problem. I would recommend him to anyone. He was very good." "Dr. Finamore is the best!" "one of the best doctors ever"
"Dr. Finamore is very, very good." "Dr. Finamore is the best!!! He answered all my concerns and I felt very confident with his experience & knowledge! Thank you Dr. Finamore!!" "Dr Finamore has a wonderful staff and he is very kind and reassuring." "Have already recommended a friend who saw Dr. Finamore and was happy!" "I would give an "excellent" rating to Dr. Finamore in every area - professionalism, ease of communication, gentle manner." "Dr. Finamore explained my surgical procedure in depth & I never felt rushed." "I'm very happy to have Dr. Finamore as my doctor. He is a very caring person, a wonderful doctor & a good man." "Peter Finamore. 10. I will always recommend. Post-op checks excellent. " "Dr. Peter Finamore is one of the best. Drs. that I have gone to. He is very compassionate & a amazing surgeon." "Dr. Finamore is kind, honest & very thorough. I have recommended him to many of my friends & they have gone to see him with their own issues & agree with me." "He explains very clearly and answers question clearly too!" "Excellent physician & surgeon. More women my age should feel comfortable doing this procedure. It's life changing! " "I had great confidence in Dr. Finamore. He was an excellent surgeon. Definitely would recommend him to anyone." "Excellent knowledge and concern for my problem." "Dr. Finamore was absolutely the best doctor/surgeon from the beginning to the end of my care." "MD answered all my questions so that I understood complex surgery I am about to embark on." "Dr. Finamore is excellent I have already recommended him. " "I like and have complete faith in Dr. Finamore." "Dr. Finamore was pleasant. He further eased my mind by saying he would ask my OB/GYN to assist. Which gave me enormous relief." "I was very pleased with my experience at the office of Dr. Peter Finamore. Everyone was very caring and helpful and Dr. Finamore was very caring and supportive of my surgical procedure." "Dr. Finamore is the BEST in his field and deserves that title because he's earned it!" "Dr. Finamore has a way to make me comfortable, he takes his time listening & offering medical advice. He has made an unbearable situation - bearable. I truly enjoyed being under his medical care. He made everything better - He took his time answering my questions. He was very professional and as a medical professional myself. I truly appreciated the care I received this past 18 months." "An exceptional physical. Dr. Finamore deserves special acknowledgement not only for his professional (medical & patient care) knowledge but manner to include patient in follow-up care. Definitely a model for others. I have complete confidence in his care. " "Dr. Finamore was pleasant, patient, thorough and very knowledgeable." "Dr. Finamore is a great person and a fantastic doctor. It would be wonderful if only other doctors could experience a visit with him and patients." "I already recommended Dr. Finamore to a friend." "I was very impressed with Dr. Finamore. He was thorough, and I felt very confident about his assessment." "I was very comfortable with Dr and have every confidence in him." "Love Dr. Finamore. I travel quite a distance to see him at his various offices and he's worth it." "Dr. Finamore explained everything very clearly." "Good experience in every way. My surgery was VERY successful! #9. He is the best!! " "Dr. Finemore was better than I had expected! He was friendly and honest about my condition." "They explain to me about my condition. What we will do to improve my life." "Dr. Finamore is a true gentleman & explained all procedures in excellent, detailed terms; all questions & concerns were addressed." "I come from a distance away because Dr. Finamore is an excellent Urogynacologist. Many times, I have recommended to friends to travel the distance for the best possible care and information when they are dealing with issues in this specialty." "I am sorry I waited so long to go from a previous experience with this speciality physician. Had I known of this quality & good care/knowledge, I could have helped my issue and saved much pain, stress and other things." "Dr. Finamore has given me confidence that my problem can be resolved using his skills." "I felt very confident in the care and treatment provided by this Dr. Finamore." "Dr Finemore has always taken time to discuss issues"
"i have followed this doctor from another practice. he is the best"
"Dr. Finamore always treats me with respect & explains very well." "Dr. Finamore is a very knowledgeable, concerned health care provider with the ability to 'think outside the box.'" "I have already recommended Dr. Finamore to my cousin who is an R.N." "I liked Dr. Finamore very much. He was knowledgeable, personable, listened to me & explained everything to me." "He is the best doctor I've been with! Couldn't ask for better!" "Very, very pleased with doctor." "His professionalism and kindness made me feel quite comfortable. He's a good guy!" "Very graphic presentation of current status & projected changes with surgery." "Dr. Finamore is a wonderful dr. So knowledgeable & I know be can help me." "One of the best doctors ever. Really listens!!" "I already recommend him to a few people!" "Dr. Finamore is a wonderful surgeon and a caring person. He make life much easier for me. I no longer have to look around for the bathroom." "Dr. answered all my questions thoroughly and made me feel very comfortable." "I like that he told me what he was going to do and what I was going to feel." "Dr. Finamore is an excellent surgeon who performed surgery on the DAY of super storm Sandy." "I thank God for him!" "Will gladly. Recommend my provider. Very thorough physician." "Dr. Finamore was one of the best doctors I have ever been to. Impressive care!" "He is the only doctor who knew what horrific pain I had and suffering for 2 yrs - After 2 days on this treatment I started to get out of this eye blinding pain! I LOVE him!!!" "I will recommend this office to others." "Good experience Dr. Finamore is a caring professional doctor." "I think so highly of Dr. Finamore that I followed him from his previous office to this new office."